It was a hot and humid day at Orphans of the Storm®, as evidenced by all of the lolling tongues you will see in this week’s photos! The dogs were still happy to come outside for a walk, though many of them found a shady spot pretty quickly. 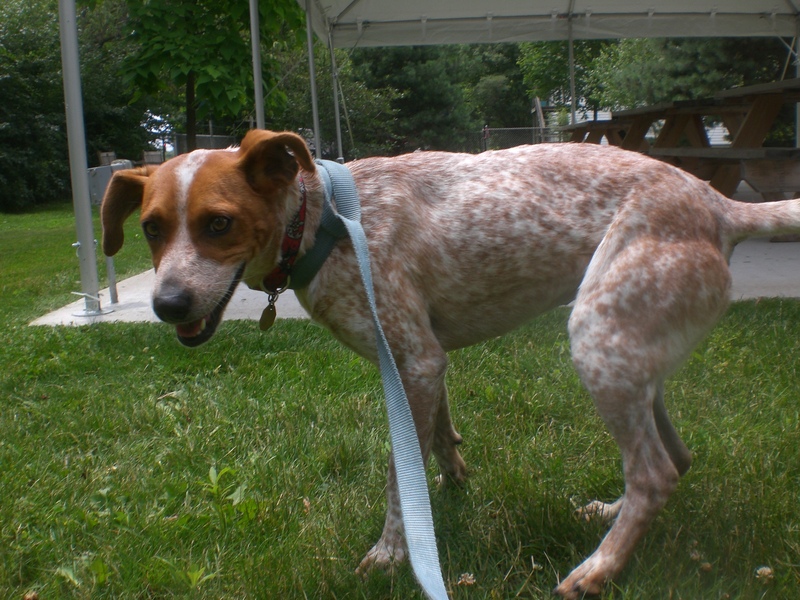 Abby the one-year-old Red Heeler mix is such a little cutie. When I mentioned to one of the staff members that I was going to walk her, I was told that she is a sweet dog–and that turned out to be very true! Abby is the perfect size and has the perfect amount of energy. She’s more than happy to play with you, but equally happy to snuggle in your lap. Abby has the cutest markings! Abby hopped right up onto the bench next to me, and she seemed to really enjoy this perch so she could keep an eye on everything. She was very interested in the other dogs who were walking around, watching them with her ears perked, though we never got close enough for her to greet them. At one point, Abby tried to climb into my lap and give me some doggy kisses. 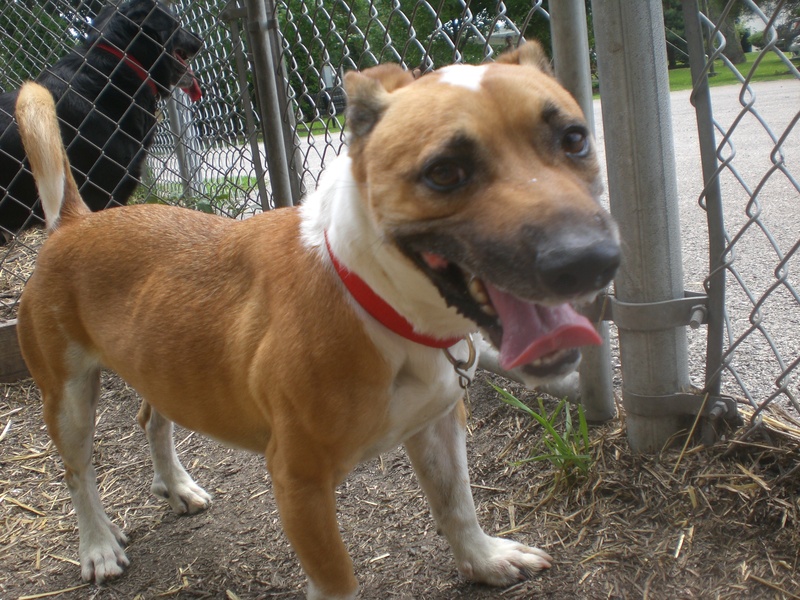 If you’re looking for a friendly and adorable pooch, come in soon to meet Abby! 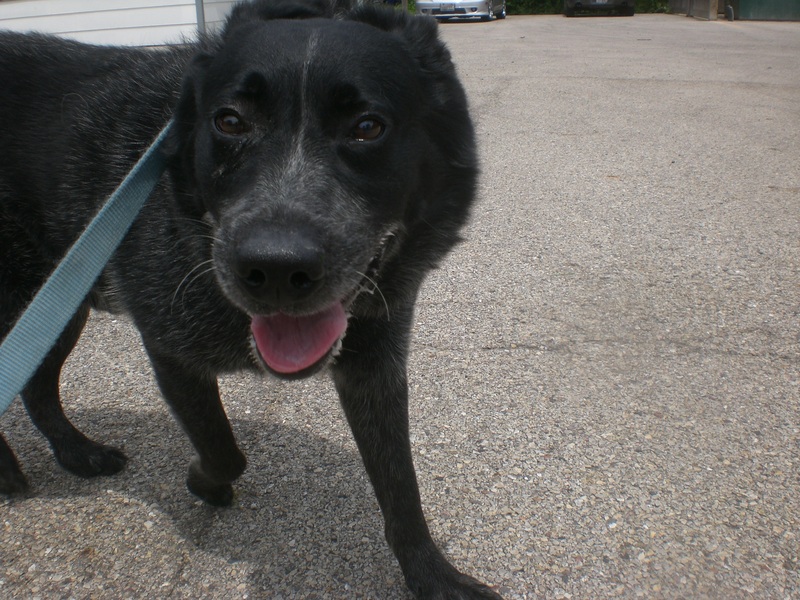 Diesel the four-year-old Australian Cattle Dog mix is a handsome boy who is, sadly, extremely nervous inside his kennel. 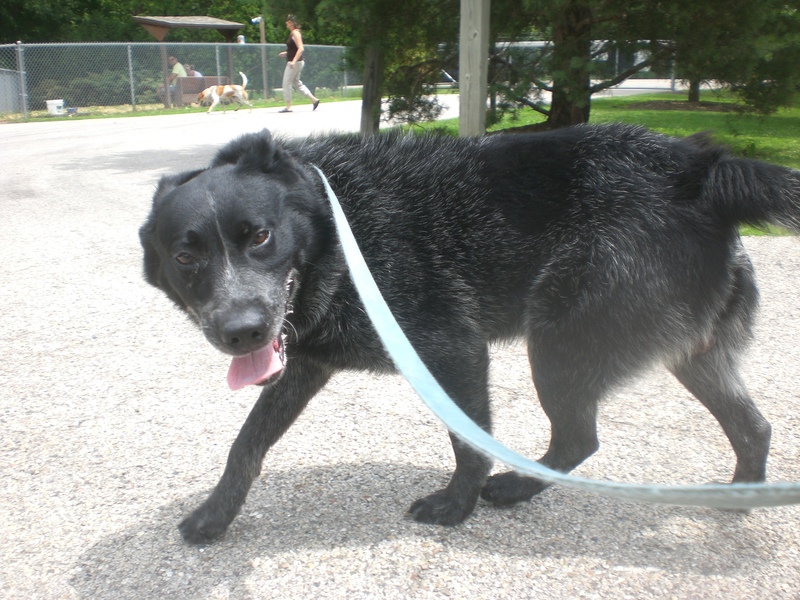 He’s not so sure about getting a leash put on for a walk and would probably do best with an owner who will be gentle and understanding in order to help him come out of his shell. 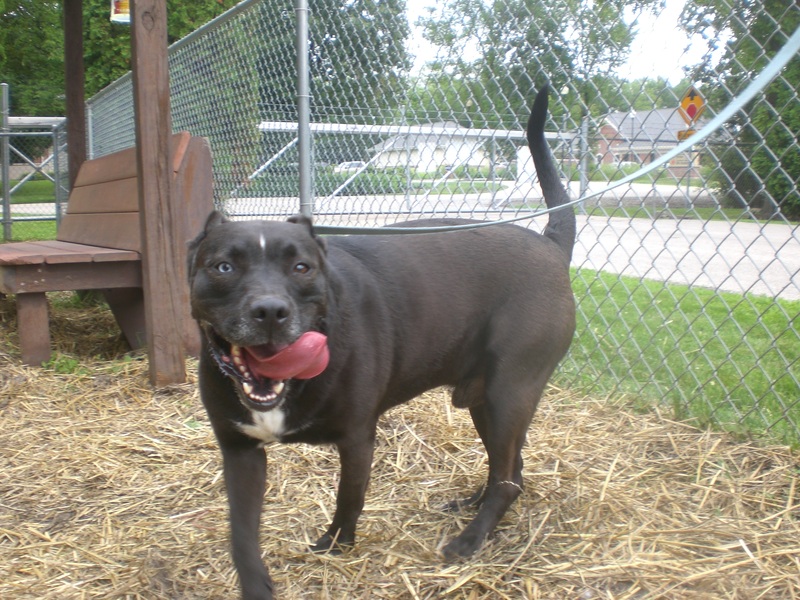 Once Diesel is out of his kennel, though, he perks up and becomes a happy, friendly dog. Diesel is actually pretty good at walking on the leash, despite his initial hesitations. After we walked around for a bit, Diesel found a shady spot under a tree and laid down. When I started to pet him, he rolled over and gave me a big doggy smile while I rubbed his belly. Another volunteer gave Diesel a bath last week and said he was very well-behaved. This sweet boy is ready for his chance at a loving home. Stop by the shelter soon to see if he’s the one for you! 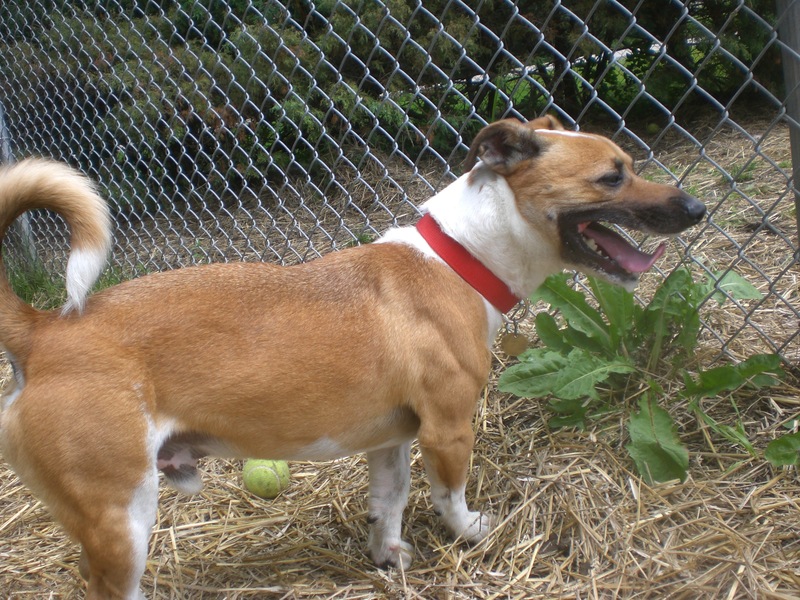 Charlie the six-year-old Jack Russell Terrier mix seems to have two settings: full speed and full stop. This is pretty normal for Jack Russells, and Terriers in general. Charlie likes to run and run, and then stretch out in the shade and catch his breath. Since Charlie’s body is a little longer than the average Jack Russell, him stretching out is especially cute. And that face of his is even cuter! Charlie currently shares his kennel with another dog, and he was also pretty friendly through the fence with the dogs in the run next to ours, so he could probably go to a home with or without another dog. But the main thing Charlie is looking for is a fun family who will be sure to keep him entertained. And with Charlie as part of your family, you will certainly be entertained as well! 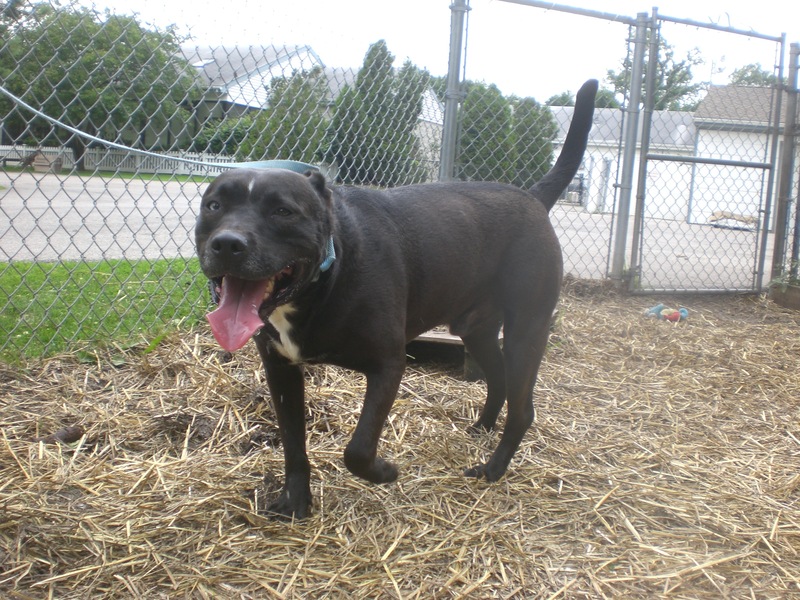 If you’re looking for a playful and spunky pup, come in soon to meet Charlie. Charlie knows how to smile for the camera, too! Luciano the two-year-old Pit Bull Terrier mix is one of those special dogs with one blue eye and one brown eye (like Clint and Elmo!). Luciano is a little rambunctious when he first gets out of his kennel and he especially likes to jump up to say hello, but he listens when you tell him “off” and he settles down after a few minutes, turning into a good walking companion. Luciano, according to the card on his kennel, gets along with just about everybody, including kids, cats, and other dogs. Although I didn’t get to see him interact with other dogs while I had him out, I can certainly believe that he’d be a very good boy. Luciano is a happy dog whose tail is always wagging. He doesn’t understand how he ended up at the shelter, but Luciano is more than ready to show his future owners what a great addition he would be! I also saw my furry friends Corky, Dezzie, Emerald, Lucy, Molly, Ryla, Scotty, Shard, and Wilbur. 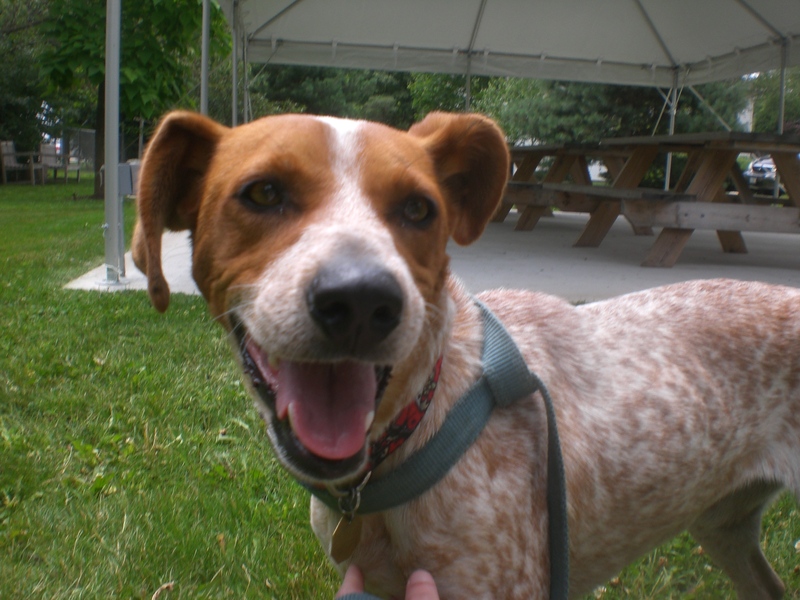 Posted by Meet the Pooches on July 10, 2014 in Dog Profiles and tagged adoption, animal shelter, animals, Australian Cattle Dog, Chicago, dogs, Jack Russell Terrier, Orphans of the Storm, pets, Pit Bull Terrier, Red Heeler.